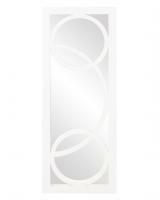 Deliver stylish and geometric modern design to your wall with this simple mirror. The resin frame is finished in bright silver leaf and includes a circular overlay that really makes this piece pop. 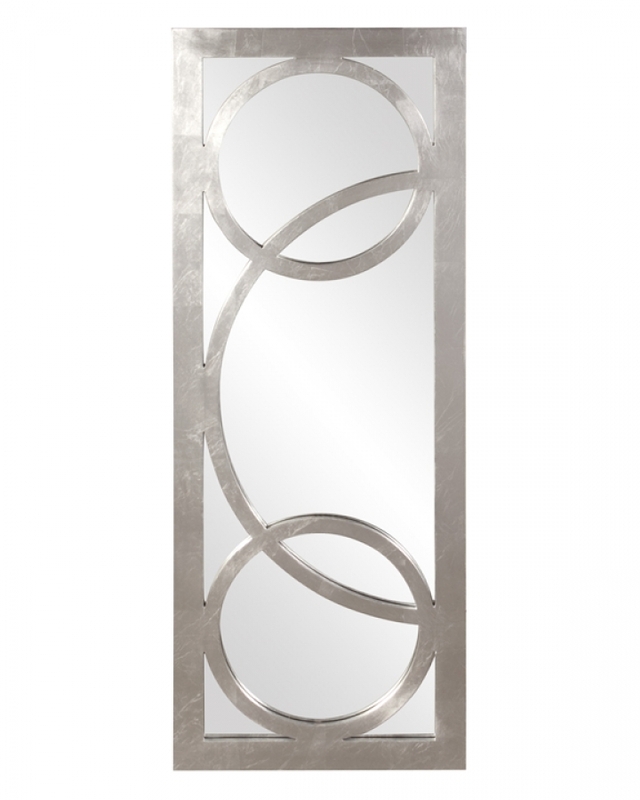 The mirror can be mounted vertically or horizontally and features a slim construction that will be easy to integrate in almost any wall space and dÈcor. 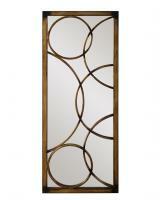 Use this as the focal point in any room and decorate around it in minimal or modern fashion. The mirror weighs only 14 pounds, making it easy to hang on any type of wall surface. It does come with mounting brackets.